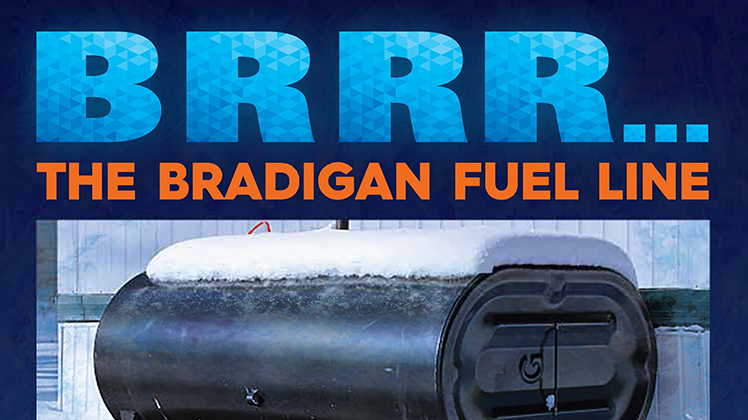 Chech Your Fuel Tank Levels & Other Tips | Bradigan's Inc.
Brrr. It’s getting cold out there. With winter just weeks away, it’s time to think about your fuel levels and proper fuel storage maintenance. There’s no reason to go without fuel or have your fuel gel in cold temperatures. Bradigan’s can help get you through the cold season with little to no hangups.